This is a romantic bun updo hair style which is great for wedding. 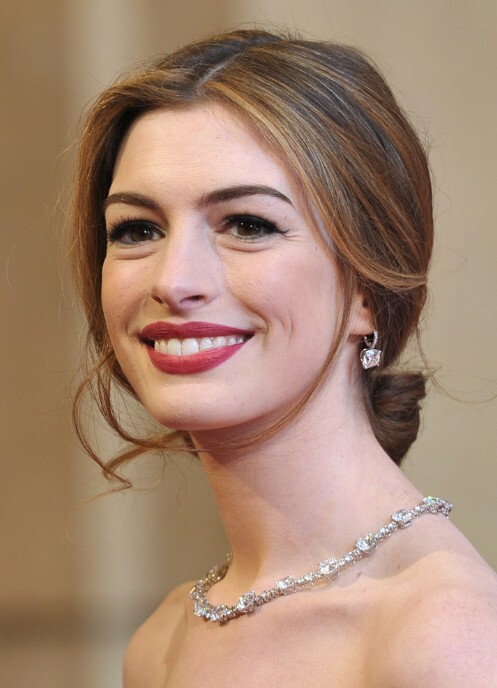 Anne Hathaway opted for a classic beauty look: ravishing red lips and a center-parted bun at the nape of her neck. Loose, romantic tendrils frame her face and keep the look from feeling overdone. Do you love this style?